Being as my other half is from japan, we have decided to try and grow a bunch of japanese vegies. 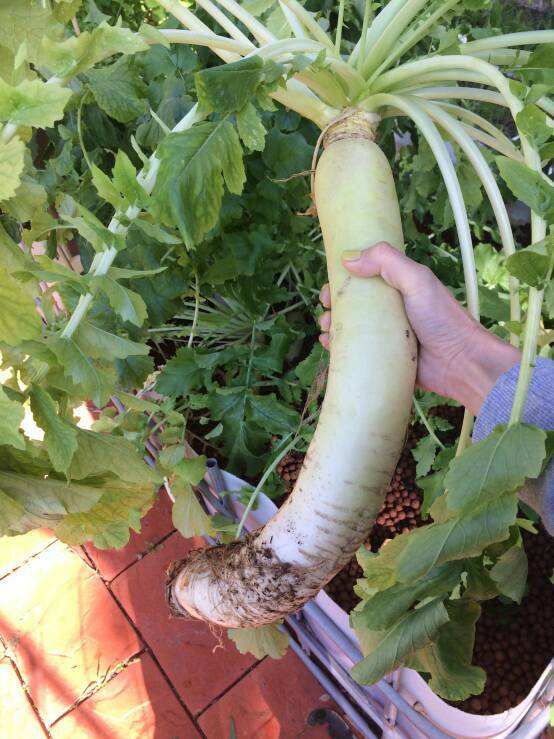 And the radish, which they call daikon. Has anyone had much luck with root vegies in a media bed? If so, is there some recommendations? Lower the water level ect ect..? Thanks in advance guys, looking forward to getting the seeds in. Expanded clay is probably the media of choice as it is much lighter and easily makes way for the growing veg. Root crops can be a bit hit and miss though, wicking beds are usually a better growing method. 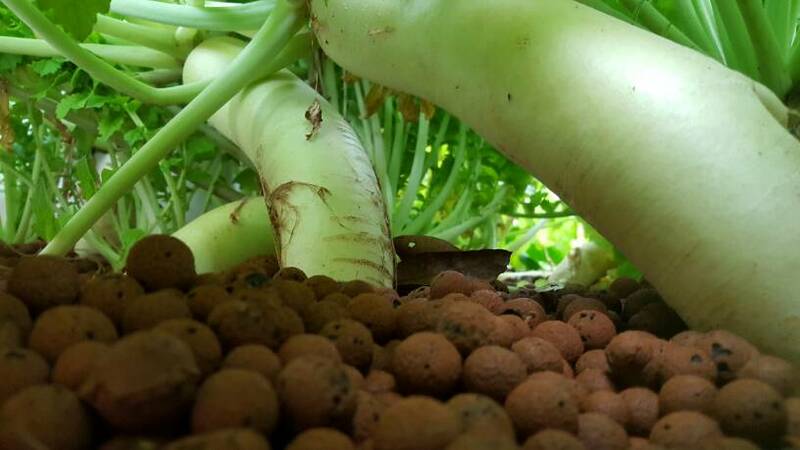 We grew lots of daikon radish in media beds with expanded clay, they grow well and tend to push up and out of the media as they can't grow down far. Awesome news! Luckily for me my beds are expanded clay, about 400-450 deep. If they get big enough to hit the bottom, i will not be complaining. Now to wait for the next moon cycle (does it really make a difference?? Seems hard to believe :p) and throw some seeds into the bed. Does everyone direct seed radishes or outside, and replant? Hey guys, sorry to bring this one back up. This bed I changed to constant flood, to avoid my bed flooding and stealing all my little baby's. But.. will root vegies survive in constant flood? Or once they have established, should I change back to flood and drain? Don't stress, which ever way will be fine, for memory we grew them in constant flood and flood and drain. Hey all, sorry for the thread bump. Had a member contact me about how these went, so I've chucked a couple of photos up to show. They never did develop as fully as some you will find in the japanese supermarkets, but that could very well be a different type. Mine are just from an eden seed packet. Next time I go, I'll have to try and aquire some seeds. This last photo shows one that had a slight bit of rot on the end. Rest of it was fine, just had to trim a couple of inches off. Hey all, sorry for the thread bump. 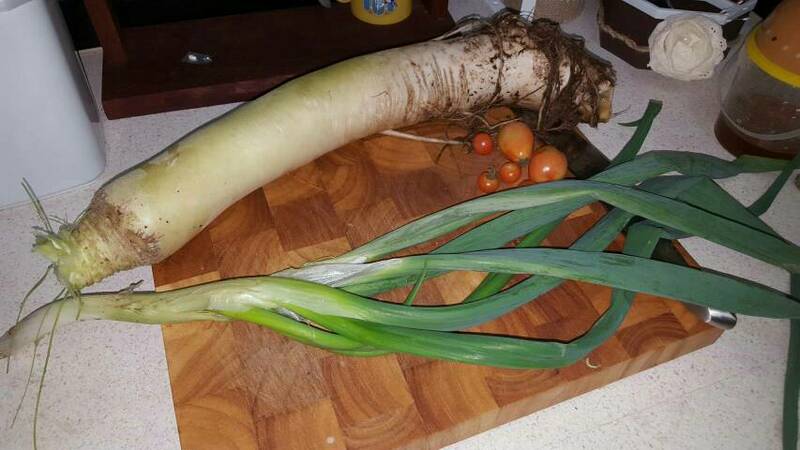 Never apologise for pics of awesome veges! Those look delicious. Out of curiosity what do they taste like? Never tried one and they look like really cool plants to grow and I love radishes. So if the taste is similar to a typical radish I may try my hand at some of these in the future. Hm they are definitely more mild in my experience. Of course, grown in summer they still have a mild bite but nothing severe. If grown in winter they almost have no bite what so ever. Great pickled, or diced up in a nice bit of miso soup, in salads, i dont mind them really! Not strong tasting though, so I'm not sure what the general consensus is. They are amazingly hardy and quick growing seeds though!